Microsoft has revealed to Recode over the weekend that Project Astoria, the tool it was developing that allowed Android apps to be easily ported to Windows, has been delayed for the time being. The company refused to reveal whether the utility is still in the pipeline, has been delayed indefinitely, or has been canceled entirely, simply stating the tool is "not yet ready". Developers have been waiting for Microsoft to release Project Astoria for some time now, as the tool was first announced at Microsoft's Windows 10-focused event in April. It was revealed as one of four 'bridges' that would help developers create apps for Windows, including tools that ported both iOS and Web apps to the platform. The tools to port iOS and Web apps are already publicly available, while the third tool to port older Windows apps to Universal apps will soon be released. The Android tool, however, is currently in limbo, and it seems Microsoft has been trying to avoid talking about it for several months now. 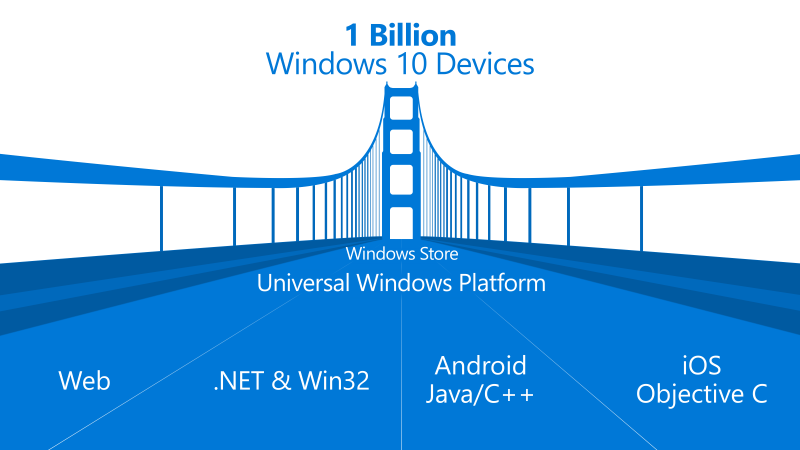 Project Astoria was arguably the most important of the four tools, as it gave developers an easy way to port apps from the dominant mobile platform to Windows. Microsoft has struggled to get big-name apps developed for Windows, so by having a tool to make the process easy, the company was hoping to significantly increase their app catalogue. Unfortunately it looks like Astoria won't be coming any time soon, which will make it harder for Microsoft to convince developers to create apps for their platform. Hopefully the project hasn't been canceled entirely, but currently it's not looking good.